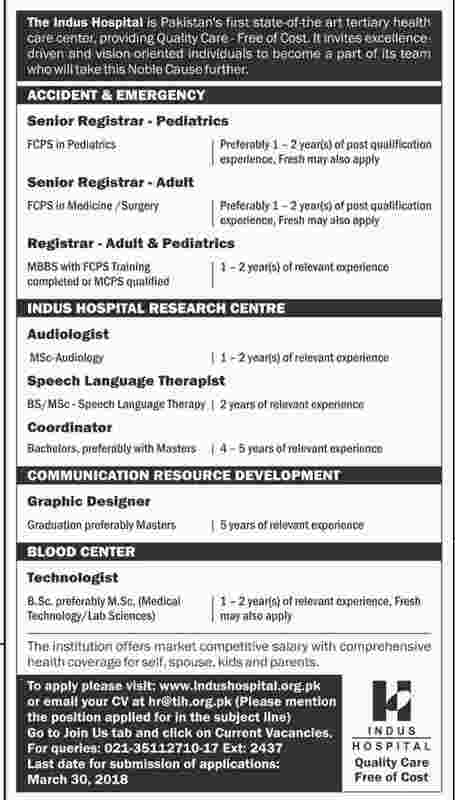 The Indus Hospital invites excellence driven and vision oriented individuals to become a part of its team who will take this Nobel Cause further. Interested candidates can send their CVs at the email address given below or Apply Online on the website given below. For more information see the advertisement.